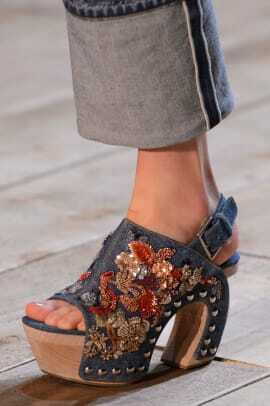 Your footwear forecast is looking pretty wild. 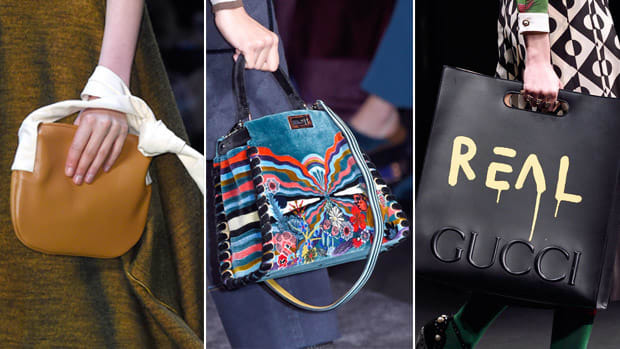 Another season of Fashion Month is behind us, which basically means that we at Fashionista have been busy building our spring shopping lists (and, of course, covering the actual shows and biggest trends). 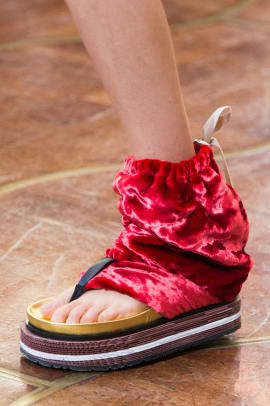 One of our favorite categories to browse after all of the collections have walked is footwear, and for spring 2016, designers from New York to Paris decided to get a little wild with their shoes — and we&apos;re pumped. Pun intended. If you take a minimal, practical approach to your footwear, there were plenty of sporty sneakers, flat sandals and simple boots on the runways in all four cities. However, an impressive number of labels went for a "statement" shoe this season, and those are the pairs that really stole our attention. 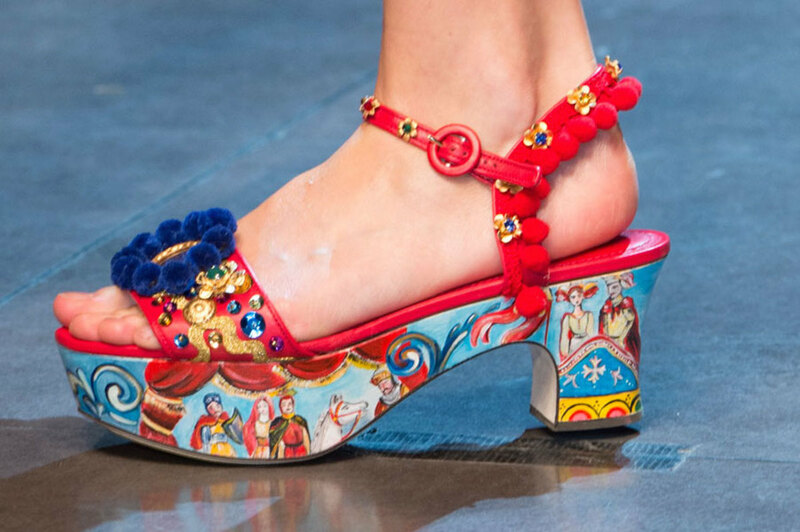 From the metallic, mixed-media rocker boots at Rodarte and Miu Miu to the intricately embellished options shown at Gucci, Alexander McQueen and Dolce and Gabbana, spring&apos;s most memorable shoes are certainly not for the faint of heart. 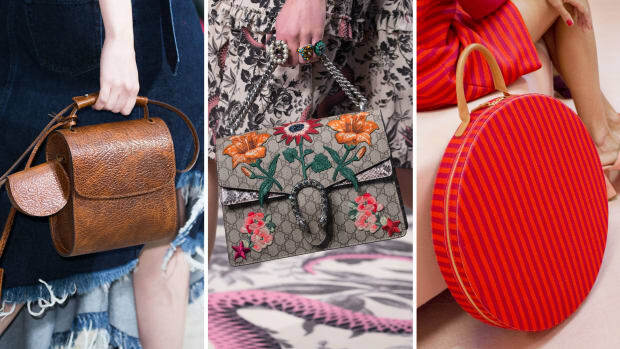 After much consideration, we&apos;ve rounded up our 25 favorite pairs of shoes from the spring 2016 shows — or, your cheat sheet to what the fashion pack&apos;s boldest women will be wearing on their feet in six months.